Candidates applying for Engineering Services Exam should have an engineering degree from a recognized institute or be in their final year. Also candidates with MSc. Degree or equivalent in Wireless Communications, Electronics, Radio Physics or Radio Engineering will be eligible for certain posts only. A candidate should be more than 21 years and less than 30 years of age as on 1st August, 2011. There are relaxations in age limit for various reserved categories. A candidate should be medically and physically fit according to the specified requirements. The candidates have to be a citizen of India and that he or she should be mentally as well as physically sound during the recruitment process. Observation of any time of trauma related o body or brain will directly result in terminating of the recruitment call. UPSC Indian Engineering Service Examination – IES 2011 Exam Date: 15th June, 2012. (v) Central Water Engineering (Gr. ‘A’) Service (Civil Engineering Posts). (vi) Central Engineering Service (Roads) Group-A (Civil Engineering posts). (viii) Assistant Executive Engineer (QS&C) in Military Engineering Service, Gr.’A’. 1. Structure of exam: It contains 5 papers (3 objective papers of 2 hours duration each + 2 descriptive papers of 3 hours duration each), out of which one objective paper with General Studies, 2more objective papers with Engineering and 2 descriptive papers with Engineering. b. Second day: Paper I for 200 marks and Paper II for 200 marks of Objective type technical. c. Third day: Paper I for 200 marks and Paper II for 200 marks of Descriptive type. d. Personal Interview round contains another 200 marks. e. So, total will be for 1000 marks for written and 200 marks for Personal Interview. a. Is there any constraint on No. of attempts? : There is no constraint on Number of attempts. You can write any number of times if you are in the age limit specified by UPSC. Right now it’s: 30 years for General Merit candidates, 33 years for OBC, and 35 years for SC/ST and other relaxations are also there. Visit www.upsc.gov.in for complete details. b. Is preparation for GATE is enough? : In one way YES. Around 60% of IES syllabus will be GATE syllabus. So, we need to prepare extra subjects. Difference between GATE and IES is, in GATE we need to have in-depth analysis at least for important subjects. If you prepare only those subjects you may get 95 to 98 percentile. But here in IES preparation, we need to prepare all the subjects at least for Objective papers. We may not have to go that much in-depth. i. Few subjects may be there in IES syllabus only. Those subjects need to be studied. ii. We need to prepare for descriptive also as this part is not there in GATE. vii. Training will start from November/December. Of course this depends on Department of allocation. d. How many hours of preparation is needed daily? : Frankly this depend on individual. If you are strong in basics, it may not take much time to recap all the subjects. Daily 2 hours 6months before the exam, 5 hours before 3 months and 8 to 9 hours before one month is hopefully sufficient. i. Around 50% of marks are more than enough independent of department. For written if you can score 450 to 500 marks you can expect interview call, of course selection also. If you can score more than 500, you will have a better edge. ii. Here one important thing is, you have to score maximum marks in Objective only. If you can score 120 to 140 marks in objective papers, stress will be less on Descriptive papers. iii. If you get correct answer that to with proper explanation, you can expect 70% of allotted marks for that question. f. To work for Indian Railways, how much rank I should get? : Upto 20th rank for General Merit candidates can expect from Indian Railways. This is true for TCE and EEE officers only. For Civil this limit will be high. g. Do they have separate cutoff for separate papers? : Many say cutoff is there only for General Studies paper not to others. This depend on selection team of UPSC. When I wrote the exam, there should not have any cutoff even for General Studies, as I did not write well. h. Am presently studying B.Tech/B.E., in which way should I prepare for ES? : If you are in final year/pre final year now, you can start preparing for ES exam. Otherwise, my opinion is you better concentrate on building of basics. Normally 2nd year and 3rd syllabus of your university will be UPSC syllabus. So, concentrate well on those subjects. That’s enough. i. Can I work in my home state if I get selection? : Officially NO. If you take Railways, it have its departments spread all over India. They can place you anywhere in India. If you take Water Commission, you may have to work from Delhi only. But chances are there if you opt for Railways. j. Will they give salary immediately after joining or after completion? : YES. They start pay you even in the training period also. k. Is it facilities like car, bunglow will be given as soon as one completes the training and join the service? : It depends on the service. Quarters ll be provided in any service, and remaining like Car and all will be provided if work necessitates. Railways and CPWD is known for good fecilities. m. Can I write IES in computer science? : NO. You have select one group from Telecommunications/Electrical/Mechanical/Civil. n. How many number of seats for each branch? : It varies time to time. This year they notified 434 posts for all branches. Out of which around 60 can be expected for each branch for TCE/EEE. For Mechanical and Civil engineering Streams posts will be more. o. What is the order of precedence for the posts applicants prefer? : First Railways. After that, CPWD,MES,NHAI,CWC,BRO etc., Facilities are better in Railways and MES. But work wise hectic and more responsible jobs. Its a 24 hrs job in Railways. Even taking of leave in some places also would be difficult. In the sense, more responsible and powerful post. p. What are the physical standards we need to meet? : Eye power should be within + or -4, and there should not be color blindness for Railways. Color blinded people may be allotted for Stores. 3. What are the departments, we can work as IES officers: You can visit UPSC website for details. 1. The interview panel generally keeps you comfortable and more liberal. They expect you to be strong in your present area. You be strong in basic concepts, Current affairs like Terrorism, Recession/what is HOT at present, About railways. 2. First they start with few HR questions like tell me about yourself/current hot topics and after that, they start technical part (Mostly of Basics). 3. Interview panel contains 5 members (4+1) 4 tech persons and 1 Panel Head. Continue your explanation till you ask you to stop. Answer Boldly. Maintain good Communication. They may give some white sheets and may ask you to write/draw/explain something. 4. All over Interview will be around 85% technical and 15% non technical. 6. For presently working PSU guys who are targeting IES? : NOC is required if you are working in a Public Sector companies. I don’t think NOC is required for guys working with Pvt., sector. Bond transfer is not possible with UPSC. You have to clear NOC from your present working company and then join afresh in IES. 7. Pay of IES officer? : 15600 (Basic)+5400(Grade)+DA+HRA+others… Gross would be around 36,000Rs per month. 8. About Designation and Growth? : First designation would be Assistant Director/AEE or equivalent. Foremost promotion will be based on rank you get in IE exam. After that promotions will depend on Seniority and other factors like confidential reports. Growth will be faster in some departments like Railways and slower in others like CWC. 9. Already I am working in PSUs/Govt sector. Is it a good idea of writing ES exam? : IES is more of Management of technical matters. If you like only technical you can stay with present job only. If you wanna enjoy some Power/Management etc., you can try for IES. 10. About Physical Tests? : Very normal tests they conduct. Its like Eye/Blood/Urine/Inhale, Exhale. For Railways Eye power should be with in +/- 4. 11. I got GATE rank. Should I pursue M.Tech or should I continue my preparation for IES? : Pursue your M.Tech/M.E., then try for IES. You will have much time, good books, lecturers to prepare. It will be useful for Interview also. 12. I got less percentage in B.Tech. Can I try for IES? : YES. All exam need is sincere efforts. We got one guy(B.Lakshmi Narayana Rank: 9) got selection with just around 55%. If you are determined, you can get it. 13. If I donot get selection, will all of my efforts go in vain? : NO. All most 90% of Public Sector Units are following ES exam pattern to recruit their engineers. If you prepare for IES, you can crack most of the PSUs/Govt., sector jobs. Most of PSUs give questions from old question papers of ES exam. 14. What is the duration of Training period after selection? :This depends on allocated Department. 1. Old Question Papers: Very good source to know about the exam. Normally there will not be any considerable twists/difficulty compared to old question papers. 30 to 35% of the questions will be repetitive(At least same models) even. You will get an idea about important subjects/topics. For objective papers try to study everything in the syllabus and for descriptive see old question papers and decide important subjects/topics. Ultimately we require around 500 marks not 1000 out of 1000. So, be practical and decide. Especially for General Studies and General English paper, old question papers are must. See question papers from 2002 onwards. For General Studies part, see conventional part (Geography,History,Polity) only from old question papers. 2. About postal course: We strongly donot recommend postal course for Engg Services Exam. Class room training is a good idea to crack IES. Even without coaching also one can get. Basics are very important for this exam, and I donot think any postal course fit completely for this. Rather than going for Postal course, it would be better if one can analyze old question papers and study from standard books. 3. About Class room course: Right now you need not join for class room training, if you are targeting in 2010. They may not be able to complete syllabus in time, and for your preparation also time will be less. 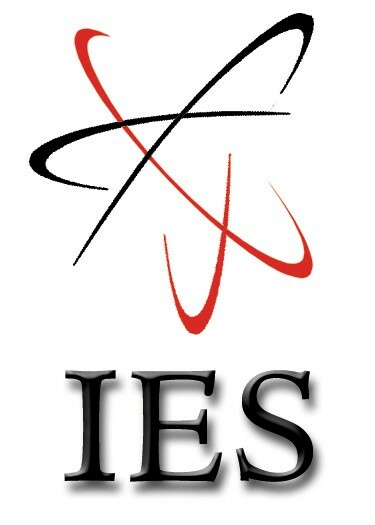 YES, if you are targeting for IES 2011, you can join in one of the good coaching centers. Then will complete the syllabus. Time will be there for you to practice. Many tests you can write. You can compare with others. You can get good funda. Ultimately, when you write the Engg Services exam, you should feel as if its a practice paper. You should do regular practice like that. Analysis of indeterminate skeletal frames - moment distribution, slope-deflection, stiffness and force methods, energy methods, Muller-Breslau principle and application. Bar chart, linked bar chart, work-break down structures, Activity - on - arrow diagrams. Critical path, probabilistic activity durations; Event-based networks. Cavitation; Flow oscillations; Momentum and Energy principles in Open channel flow, Flow controls, Hydraulic jump, Flow sections and properties; Normal flow, Gradually varied flow; Surges; Flow development and losses in pipe flows, Measurements; Siphons; Surges and Water hammer; Delivery of Power Pipe networks. Selection of Books:- It is advisable not to go through a lot of books. Instead go through one quality book on each topic, which clarifies your basic concept.Selective books are necessary for selected topics. Practice:- All you have to do is practice that’s all for IES. You have to do same example problems thrice. You have to read same topic in the SAME book thrice. You are done. You can expect IES. Frankly IES don’t need any talent, but perseverance and consistency in preparation. Practice full-length mock test, comprising of all the sections, within the fixed time period. Get acquainted with the latest examination pattern and syllabus of the exam. Divide your time efficiently. Make sure that sufficient time is dedicated to prepare each paper. Go through the previous years’ question papers. Compare them and see what types of questions are repeated every year. Read Newspaper and articles, watch TV news especially the morning bulletin, quiz contests, etc, surf websites in order to prepare for General Ability Test section, and pay attention to grammar, in order to minimize mistakes. General studies preparation is not much difficult task to do. We need to prepare last 10 years question papers for conventional side (Polity, Geography, History etc.,). Get an idea. Take year book and prepare least those mentioned topics from that. For current affairs, take Civil Services Chronicle from January to April. Prepare NCERT 9thstandard and 10 standard Geography books. Download our hand books at our download page. Hello, I simply hopped over on your website online via StumbleUpon. Not one thing I might normally learn, however I preferred your thoughts none the less. Thank you for making something worth reading. Thanks for sharing useful post related to IES. Nice post. I read your post. I really appreciate for that. I am working in a maharatna psu for the past 5 years. All of a sudden I have developed an interest in preparing for ies. Please suggest if I should start with my preparation or carry on with the current job. If I take exam in 2014 and with God's grace I get through, by the time I join ies I will have lost 7 years of seniority. Kindly help. Kindly suggest a best coaching centre for IES in chennai.Thanks in advance. I want to crack IES.. and i'm planning to prepare on my own . do you think it's feasible or should i take coaching ? I have a power more than -4 (4.5) .Can I still opt for railways. If I go for lasik .Will that be considered. i have injured my knee and undergone a surgery...can i apply for IES...i mean can i get thorough physical exam ?? Really amazing information of gate coaching plus your blog designing additionally amazing I'm hoping you're offering nice data. Many individuals such as wan acquire higher knowledge in addition to very long finding excellent teachers lean you must become a member of this series such as gate coaching, ies coaching, psus coaching; I am glad on your data.